Fishing Tournaments are a great sport enjoyed by many anglers and fishermen that come from far and near to fish our lakes & rivers in Northwestern Ontario Canada. 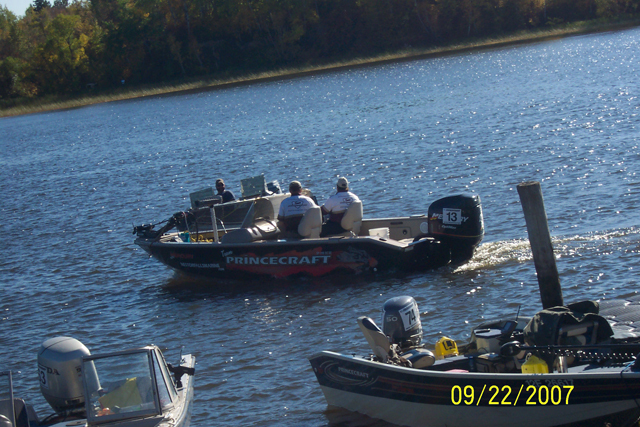 "Rainy River Walleye Tournament" - the mouth of the Rainy River is 8 miles by Lake from our Fishing Resort. Fishing Tournaments are a big draw on Lake of the Woods, on the Rainy River, and throughout NorthWestern Ontario because of the many species of freshwater fish found here. 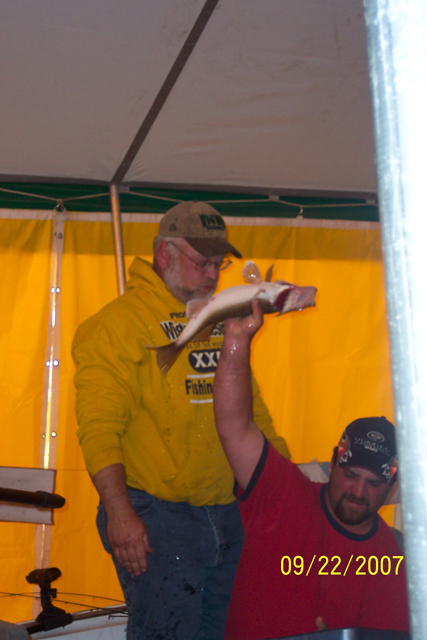 Although most of the tournaments are either Walleye Fishing Tournaments or Bass Fishing Tournaments, the March Fishing Tournament in Baudette, MN is a Northern Pike Fishing Tournament. There are many other fresh water fish that are available for catching: Muskie (Muskelunge, Musky), Perch, Black Crappie, Burbot, Tulibee, Trout etc. Sport anglers compete for tournament prizes, cash and the honour of being named as the best fishermen! Fishing Tournaments are very popular, have great prizes, plus give the fishermen alot of boasting rights when it comes to "the biggest Catch of the Day", "the biggest Catch of the Tournament", "Trophy Fishing" and "Record Size Fish" commendable for Ontario Angler Awards. Although tournament fishing is a sport, the tournaments are usually "catch and release" and strictly adhere to the local Provincial and State Fishing Regulations to respect and preserve our natural resourses in the areas fished. Harris Hill Resort is only 18 miles from Rainy River, ON and Baudette, MN. , a short drive on paved highways. We are also only approx 8 miles to the mouth of the Rainy River on the water by Boat. That's only a short boat ride, depending on how big your boat and motor are. The fishing Tournaments are held throughout the province of Ontario, Canada as well as neighboring Minnesota, USA. Here are the ones nearby that we know of.